THE ROAD from Marrakesh to Ouarzazate should be right up there with the best of them. It has everything. You start in the desert and then you climb through pine forests in the foothills of the Atlas mountains up to the snow line, where it’s hairpin after hairpin and drop after vertical drop. After you crest the highest point, which is about 6,000ft above sea level, the road surface becomes foreign-aid smooth, and as you drop down into the Sahara proper, the corners turn into third and fourth-gear sweepers. This is the section Tom Cruise chose to use for the bike chase in his most recent Mission: Impossible outing, and I can see why. It’s fast and it’s dangerous and I loved every inch of it. Especially because it was 85 degrees and I was at the wheel of an Alfa Romeo 4C and the roof was off. However, the road does come with one or two issues, chief among which is “drivers going the other way”, who are never really sure which side of the road they should be on. Or maybe it’s because they are mostly at the wheel of ancient Renault 12s that have never been serviced and are therefore impossible to steer with any accuracy. On one long stretch a chap going the other way pulled out to overtake a lorry and I assumed foolishly that he would see me approaching and immediately pull back onto his side of the road. So I didn’t brake. And I should have done, because he kept coming for such a long time that I was able to register the fact that his face was rather gormless. Anyway, I reversed back out of the desert, and when the dust had settled and I’d stopped swearing, I got back on the road, and two miles later the same thing happened again. I think there must be a rule in Morocco that states overtaking vehicles have the right of way. It’s not just the locals who cause a bit of buttock-clenching, because as Morocco is now the only country in all northern Africa that we can visit, it’s become a favourite among Europe’s classic car clubs. Which means that when you are not swerving round Mr Gormless in his spit-and-Kleenex Renault, you are presented with an out-of-control E-type Jaguar with an enormous Belgian at the wheel. I haven’t even got to the biggest hazard of all yet: the roadside vendors who walk out in front of your car, even when you’re doing 90mph, to see if you’d like to buy their rock. That’s all they sell: rocks. I think everyone in this remote place has a rock that has been passed down for generations. Someone ought to explain to these people that tourists are unlikely to buy rocks, as there are many that can be had free at the side of the road. And indeed in their own gardens back at home. And they should certainly be told that the stopping distance of an Alfa Romeo 4C when it’s travelling at, ahem, 50mph is not “one inch”. The fact is, though, that I didn’t crash into an oncoming Renault or a speeding Chevrolet Corvette. And I didn’t run over any roadside vendors, and despite a couple of near misses I arrived in Ouarzazate with a burnt face, hair as solid as a breeze block and a smile the size of Cheshire on my face. It had been four hours of unalloyed joy, a reminder of what it was that made me fall in love with cars in the first place. But then two days later I had to drive back to Marrakesh on the same road, and the Alfa Romeo was not available. Which meant I had to hitch a ride with my colleagues James May and Richard Hammond in the back of a Hyundai i800 people carrier. This would provide a rather different experience. First of all, there was the seating. I was sitting in the middle, on what Hyundai probably bills in the brochure as an airline seat. But “church pew” is nearer the mark. And to make life even less comfortable, the bench in the back wouldn’t anchor properly, so every time our driver touched the brakes, Richard Hammond clattered into my spine. Then there was the view. I love a desert. A man can get in touch with himself in the vastness. But when you’re in the back of a Hyundai i800, it feels as though you’re watching the world go by from inside a police van. You don’t even get wind-down windows; just a sliding flap that would be familiar to owners of the original Mini. Which brings me on to the air-conditioning. Or lack of it. 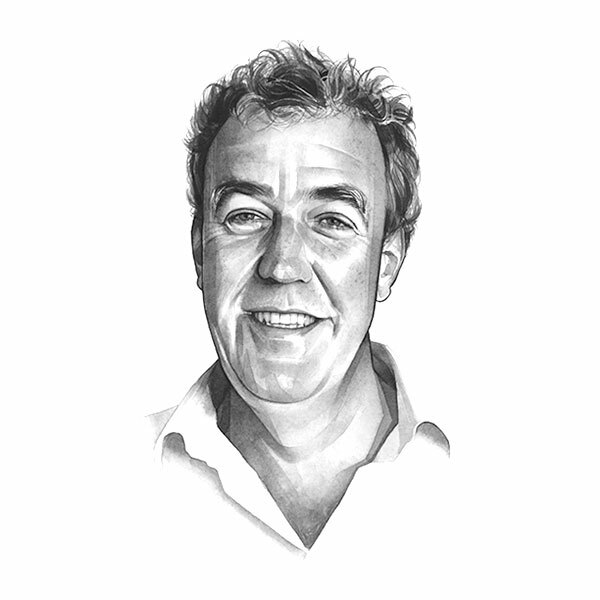 So I was hot and feeling like a criminal, and Richard Hammond had just clattered into the back of my head again, and then I realised this journey was not going to pass quickly because the engine under the Hyundai’s bonnet was producing what appeared to be no more than four brake horsepower. It’s not as if it was heavily laden. We were only five up. And since one of the five was Richard Hammond, it was more like four up and a packet of biscuits. But even so, there simply wasn’t enough grunt on even the longest straight to pass even the slowest lorry. We tried to tell the driver that it was the job of oncoming drivers to get out of our way, but he didn’t believe us, which meant that we wouldn’t be getting to Marrakesh any time soon. Thank God I don’t get carsick. And I think he may have been right. It’s worse than that parasite that burrows into children’s eyes. It’s worse than the cubicle on a hot army base with a D&V outbreak. It’s worse than trying on trousers, even. I would rather apply sun cream to James May’s back than do that journey again in a Hyundai i800. It was, I think, the worst four hours of my life. It’s annoying. Hyundai knows how to make a decent car. But with the i800 it has chosen to make one that is boring and slow and ugly and awful. Because it probably figured there was no point trying with a car that was only going to be bought by African taxi drivers and European Catholics who’d had too many children and were consequently too exhausted to notice that they were going at only 6mph.